There’s no such thing as a spring clean which is too thorough. After all, it isn’t like you perform the task every month. 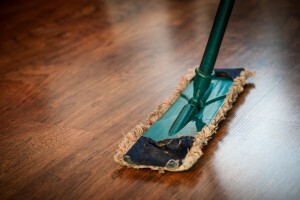 This article has some tips to strengthen your spring cleaning list this year. Regular cleaning and maintenance keep your home looking clean and tidy. However, throughout the year, personal effects and junk become get left behind along with the accumulation of debris and pollutants into your regular cleaning is barely keeping up. If you appreciate a good spring clean and are looking for items to add to an already extensive list or you just want somewhere to start, below are some great tips from Denver Cleanpro which can help. Many homeowners completely forget about the exterior of their home when thinking about spring cleaning, despite the conditions it is put through. This can often lead small problems to go unnoticed until they later become large and often expensive issues which could have been prevented. With your family, tour the exterior of your home and look for any maintenance of cleaning items which you can complete. This could be something as simple as using your garden hose to wash away dirt or grime or even just cleaning out a drainpipe. Whatever is needed, be sure to tend to it during your spring clean, and prevent big problems down the track. When performing these tasks, don’t attempt to do large repair work which clearly needs a professional. Home restoration and even grout cleaning need a professional, otherwise, you can both cause harm to yourself and also further damage to your home. It’s fair to say that nobody likes to move their heavy furniture items around their home all day. However, if you want to perform a thorough clean then these items need to be moved. Not only can this ensure a thorough clean, but it also provides homeowners with an opportunity to uncover any damage. For example, if water was spilled underneath your couch and mold has grown, then this won’t be visible unless you move your couch. Another example regards your entertainment unit or display cabinets which could be hiding cracks or water damage from a burst pipe. These areas would otherwise go unnoticed if not for your spring clean, so be sure to pay attention when you have access to these covered spaces. If your couch or other upholstered furniture items haven’t seen a professional cleaning a while, now is a perfect time. This spring clean, speak with Denver Cleanpro at 303 903 1261 and ask about their professional carpet cleaning in Denver, CO, and upholstery cleaning services. It can be easy to put away your large pots and pans when they come straight out of the dishwasher or put away cleaning items with liquid still leaking down the side without a second thought. However, both of these can lead to serious mold growth and damage. This spring clean, think about areas such as these and, using a flashlight or even just your phone, ensure that these areas not only receive a thorough clean but any mold or moisture damage is identified early. Of course, if you uncover old growth which you can’t deal with, be sure to speak with an expert and have the mold removed professionally. The first step is obvious to provide a thorough vacuum clean to your carpets and rugs. However, this can’t remove any stubborn stains or remove pollutants which have made their way to the root of your carpet fibers and could be causing health problems in your home, such as affecting the air quality. This spring clean, consider treating your carpets and rugs to professional carpet cleaning. Professional carpet cleaning works differently to your regular vacuuming in that it washed your carpet fibers removing stains and bringing new life into your carpets. This not only helps improve the appearance of your carpet but can also extend its lifespan. Spring cleaning is a great way to give your home a fresh start so, in addition to the above tips, always remember that you don’t perform the task often so give it serious attention and effort. If you uncover any carpet marks, stains on your upholstery, or grout cleaning issues, Denver Cleanpro can help. To find out more, call 303 903 1261 today and speak with a professional about how their ION exchange carpet cleaning service can bring your carpets and upholstery back to life.